John Resig originally released jQuery for free use in 2006. Today, jQuery continues by building on this work and the community efforts of many other great web developers. jQuery is collaborative and interactive; users are encouraged to utilize the software as a foundation to work together, create unique elements and alter jQuery to suit their needs. Users can submit, browse and suggest solutions to jQuery software glitches and bugs on the website. jQuery supports sharing; however, those who share and distribute jQuery related products must reference the software’s license. 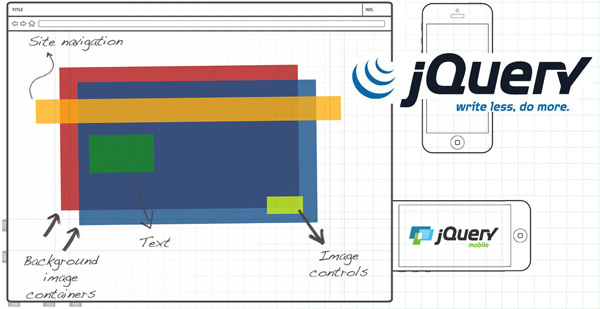 jQuery is a versatile tool for a wide range of web based media projects and user interface types. Developers and designers of varying skill levels will find it useful at all levels, from simple button effects, light-boxes, hover effects, interactive forms to more integrated sliders with animated actions. jQuery allows users to script HTML easily and its use simplifies the creation of Ajax apps and animation. jQuery uses a versatile application-programming interface that operates on a variety of browsers and platforms, so you know an extremely high percentage of visitors are viewing you content properly. Our Marketing Technologists can create content-rich user experiences, landing pages and media applications by constructing plug-ins with the latest jQuery scripting and a touch of creativity. JQuery-generated plug-ins are used in a large number of web applications, and it facilitates the production of unique animation, simple media interaction elements, a variety of effects and customizable widgets. Sometimes you just needs to get weird with it, in order to shakeup the user experience and increase engagement. jQuery has the perfect bag of tricks! The latest advance in jQuery is the expanded jQuery Foundation website. The jQuery foundation is a web based collective of developers, users and sponsors. The foundation aims to create community, promote accessibility and act as the virtual gathering point for users to contribute, share and exchange ideas. The jQuery website hosts the jQuery Foundation and is home to the learning center, the application programming interface, frequently asked questions and blog. An exciting new aspect of jQuery is the “code school” where users of varying skills can learn the basics of jQuery, earn badges and participate in coding challenges. The jQuery Foundations participates in several international conferences; the 2014 conference is planned for the United Kingdom in collaboration with White October Events. Since much of jQuery is based on free access and open content there are numerous free educational resources. The jQuery website features a learning center where users can collaborate and contribute as well as learn and use the open forums. The learning center is suitable for wide range of users from beginners and the pros. Also, Rebecca Murphey’s jQuery Fundamentals (2010) is available as a free eBook. 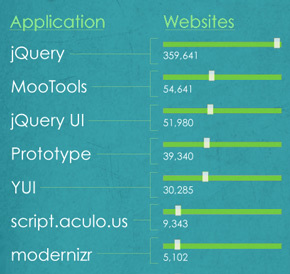 Additionally, these are other popular jQuery books: David Flanagan’s jQuery Pocket References (2011). Learning jQuery – Fourth Edition (2013) by Chaffer and Swedberg. Dive in and hack it apart or check out the jQuery examples to see what is possible, then send an example to your marketing technologist to whip up something creative. With just a few extra coding hours, this code language can put a new shine on dull website features! This entry was posted in Coding, Resources, Website Design and tagged Coding, Mobile, Software, Technology.